Were the First American Leaders Really Deists? Many claim that the early American leaders were deists Is it true that they believed in God but not a God that is sovereign over all the earth? Deism is a theological position concerning the relationship between “the Creator” and the natural world. It could be the God of the Bible but it could also be one of many gods. Deism is not really a religion but a belief. Some deists believe in the God of the Bible but they believe that He created the universe and then retreated and had no further interaction with what happens on the earth or with mankind. Deism is a product of the Age of Reason or Enlightenment which took place in the 17th and 18th centuries. During this time period, people began to be more interested in observable facts and explanations that were explained scientifically. Deist became skeptical about miracles, the supernatural and even magic. This seriously eroded belief in the Bible and also the God of the Bible. Secular historians state as fact that many of the early American leaders were deists such as Benjamin Franklin, Thomas Jefferson, George Washington, Thomas Paine and John Adams. But were these men and the first American leader’s deist as some of the history books say or is this a secular revisionist history that cannot hold water? And conceiving God to be the fountain of wisdom, I thought it right and necessary to solicit his assistance for obtaining it; to this end I formed the following little prayer, which was prefixed to my tables of examination, for daily use. Does this sound like a “hands off” deist God? It surely does not for God answering prayer shows that He does intervene in the affairs of men and Franklin’s prayer during the difficult time of the formation of the American nation and the Constitution reflect his belief in a God that can intervene when needed. Franklin wrote “Here is my Creed, I believe in one God, Creator of the Universe. That He governs it by his Providence. That he ought to be worshipped.”2 He believes in God and that He is the Creator, that He governs by his providence (His sovereignty) and that He ought to be worshipped. My point is, don’t believe everything you read in the American history books…rather believe what Benjamin Franklin himself wrote about his belief in a governing, sovereign, Creator God. Even though he believed in God, there was never any public profession of faith in Christ or any proclamation that he was ever saved or born again but it is clear, from his own writings, that he was certainly not a deist by the strictest definition. 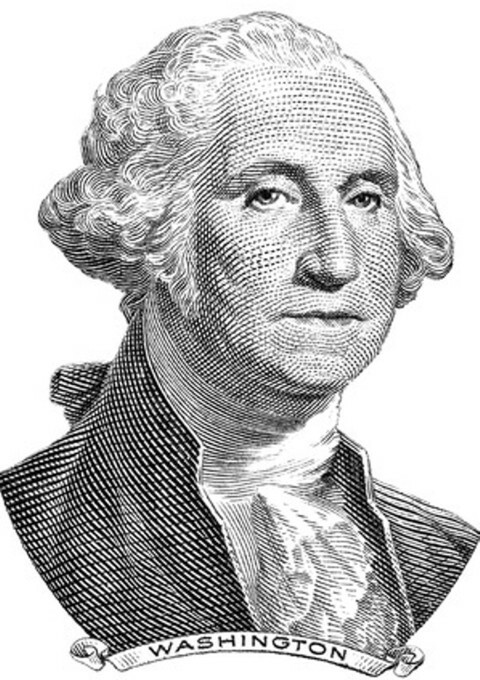 Was George Washington a Deist? It sounds like Jefferson believed in Intelligent Design and that there was a “superintending power to maintain the universe and its course and order.” This sounds like a personal God, a Creator God who upholds the universe and sustains it with His power and keeps it in order. That is not a description of a deist God at all. Although he had a difficult time believing in the miracles of the Bible, he apparently believed in a God that participated in and governed sovereignly over the creation and the mankind. During his inauguration as president, John Adams wrote “And may that Being who is supreme over all, the Patron of Order, the Fountain of Justice, and the Protector in all ages of the world of virtuous liberty, continue His blessing upon this nation and its Government and give it all possible success and duration consistent with the ends of His providence.”6 According to a Gallup Poll from January to November, 2011, 95% of Americans believed in God. In 1776, every European American, with the exception of about 2,500 Jews, identified himself or herself as a Christian. Moreover, approximately 98 percent of the colonists were Protestants, with the remaining 1.9 percent being Roman Catholics.7 This nation was obviously founded by Christian men and women and any revisionist history that says otherwise just doesn’t know their history. American History revisionists have been busy in the last hundred years trying to erase all evidence that the early American leaders were Christians and of those that were Christian, nearly all of them were deists. Nothing could be further from the truth. They have been busy rewriting it because it is historical fact that the vast majority of American leaders and Americans in general were believers in God and a God that intervenes into the affairs of mankind. The early American leaders believed in God but not only that, they believed in a God of providence…one that was that was involved in the affairs of the nation. They didn’t believe in a wind-up-the-universe and stand back God or a “hands off” God but a God that reign’s supreme, a Creator God, a God that answers prayer that rules from heaven. These attributes of God are certainly not a description of a deist God and in fact are quite the opposite of a deist view of God and that is the God, the True God, that the early American leaders believed in as did the overwhelming majority of Americans at the start of this great nation. Related article: What Does the Separation of Church and State Mean? Resources – 1. Franklin, Benjamin, The Autobiography of Benjamin Franklin, Chapter 8. EarlyAmerica.com. http://creationrevolution.com/was-benjamin-franklin-a-deist/#XG4856fEB10u23wt.99 (Accessed April 12, 2014). 2. Franklin to Ezra Stilesm March 9, 1790. 3. Novak, Michael and Jana. “Was Washington Really a Deist?” Sullivan-County.com. February 19, 2007. (Accessed April 12, 2014). 4. A copy is available at this link: http://candst.tripod.com/tnppage/baptist.htm. 5. “Jefferson’s Wall of Separation Letter.” USConstitution.net. 2010. http://www.usconstitution.net/jeffwall.html (Accessed April 12, 20-14). 6. Adams, John. Inaugural Address, Philadelphia, March 4, 1797, The Avalon Project, Yale Law School, Lillian Goldman Law Library. 7. Barry A. Kosmin and Seymour P. Lachman, One Nation Under God: Religion in Contemporary American Society (New York: Harmony Books, 1993), pp. 28–29. While maybe not Christians, these early fathers of our country certainly believed in Providence or the guiding hand of the Creator. Thank you for your well thought out description of the same. So true Doc….are we not so blessed that they were the originals of this nation? God is sovereign and these nations roots were no accident. Hi, Pastor! Another great article as usual, that presents the core facts! But can you explain one thing? I come from Yorkshire in England, and I don’t understand this whole “revision” thing. Do you have evidence they were/are doing it? And more importantly, why would they want to, as historians who have some control over public knowledge, abuse their duties? Thanks Jack. The evidence of their revising or erasing true history for one that is trying to push God out of the picture is in our history books themselves. If you find older history books, the ones that I remember from my school years in the 60’s and 70’s included that religion was the backbone of America’s history and that all of the first colleges were really seminaries and that 99% of all Americans were Christian but the history books of today do not say anything about these facts of history and their sin is one of omission. They are omitting what is true and dumbing it down only to a pursuit of a new nation and not the reasons why…fleeing from religious persecution and to be allowed to worship God in the biblical sense. Does this make sense Jack. Yes, it does, and thank you for your answer, Pastor! Now I understand. Indeed, godlessness is rising by the minute. Take the British Census, for example. Christianity was 71% in 2001, it went down to 59% on 2011. That is a whopping 12%!! As for some of the other religions, they are currently increasing, but at a very slow rate. As for atheism, I believe you already know the drill. It increased from 15% to 25%! So yes, it is obvious what is already happening to America AND Britain! The end times have definitely arrived, and us Christians must prepare spiritually for ’em! Amen Jack…preparing for the worst in the next few years but expecting the best when He returns for us. Indeed, we must prepare for these times.